At his peak, Johnny Bench was lethal at throwing out attempting basestealers, more than 40 percent every season from 1968 to 1978, twice peaking at 57 percent. Even more amazing is that since few guys even attempted to steal on Bench, that means only the very best stealers even tried. But Bench was no James Shields, at least the 2011 version of Shields. The Tampa Bay right-hander allowed his first stolen base of the season the other night (to Kansas City's Eric Hosmer). That by itself isn't necessary unique -- since 1990, 27 pitchers have thrown at least 162 innings and allowed one stolen base in a season. Four have allowed zero -- and one of them was a right-hander (Chris Carpenter of the 2004 Cardinals; the other three were Jonathon Niese last season, Jarrod Washburn and Kenny Rogers). What makes Shields' season pretty cool is that he's also picked off 10 guys. (I'm using data from Baseball-Reference.com). Throw in four caught stealings, and that makes baserunners 1-for-15 off Shields, if you add the caught stealings and pickoffs together. Baseball-Reference has pickoff and pitcher stolen base data back to 1950. There have been 54-pitcher seasons with at least 10 pickoffs, but most of those are by left-handers. Knuckleballer Charlie Hough has the most by a right-hander with 14 in 1988, but he allowed 32 stolen bases that year. Two guys famous for their pickoff moves were Terry Mulholland and Andy Pettitte. Indeed, Mulholland picked off 15 runners with the Phillies in 1992, while allowing just two steals in seven attempts. That's a CSPO (caught stealing/pickoff) score of minus-20. Mulholland never had more than seven pickoffs after that, mostly because runners just stood on first base; from 1992 until the rest of his career (more than 1,900 innings), he allowed just 14 stolen bases. Pettitte semi-balk move was questioned many times during his career and he picked off 101 runners, but didn't completely shut down the running game as he allowed 176 stolen bases (against 86 caught stealings). One of the best recent CSPO seasons was Chris Capuano of the 2005 Brewers, when he had 12 pickoffs and basestealers were 2-for-11 off him, a CSPO score of minus-21. 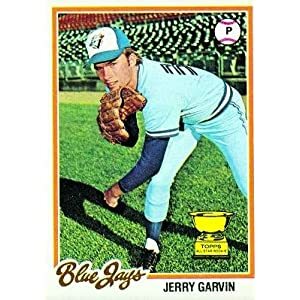 From what I can gather, the best CSPO belongs to Jerry Garvin, a rookie left-hander for the expansion 1977 Blue Jays. He picked off 23 guys -- the record, at least since 1950 -- and basestealers went 10-for-29, giving him a CSPO score of minus-32. That number will hard to beat! Garvin had a pretty good rookie season, going 10-18 on a terrible team but with a league-average 4.19 ERA and 12 complete games, all at age 21. He was named the left-handed pitcher on the Topps All-Rookie team. complained," wrote Neil Campbell. "'It's a matter of timing,' said Garvin, who returned home to Salt Lake City to be with his family after his six weeks in Venezuela. 'My pickoff move takes work and practice, and I haven't been pitching enough to get it down pat.'" Scrolling through the Lexis database, it's funny seeing the random mentions of Garvin in the Toronto newspaper. He's almost always referred to as the left-hander with the high leg kick and great pickoff off. As for Shields, he's clearly taken his pickoff game to a new level this year, after allowing 10 steals last year with three pickoffs. Here's a story from May on Shields talking about his unusual move, with video highlight of one of his pickoffs.